Its always a joy to realise 3 months have passed and it is time for my dentist/hygienist appointment. I leave the surgery feeling clean and uplifted. The main role of a hygienist is to assist people in the promotion, achievement and maintenance of good oral health. They work closely in conjunction with a dentist. A dental hygienist trains for two years to achieve their professional qualification. Giving dietary and oral hygiene advice to all people and all ages, in the dental surgery and in various community environments (eg playgroups, youth groups and residential homes) in order to prevent dental caries (tooth decay) and periodontal (gum) disease. Giving smoking cessation in order to help patient quit smoking. Providing fissure sealants to children to help reduce their susceptibility to dental decay. 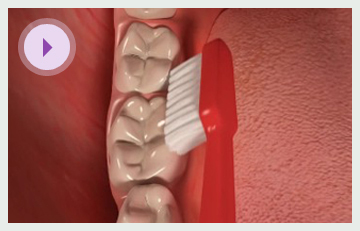 Treating periodontal disease via scaling and polishing i.e. cleaning above and below the gums to remove tartar (calculus) which has built up around the teeth, and polish off any surface stains. Administering local anaesthetic injections to enable a pain-free experience when providing periodontal treatment. Taking X-rays if qualified to do so. A regular appointment with a dental hygienist usually lasts for 20-45 minutes. A dental hygienist will initially check a patient’s medical history to ensure that the patient is physically well enough to receive treatment. They may apply a dye which colours dental plaque to highlight any areas missed when a patient is brushing their teeth and will offer appropriate oral hygiene advice to supplement a patient’s daily oral hygiene regime. A hygienist will measure the gaps between gums and teeth with a rounded instrument to assess whether any gum disease is present and will undertake any treatment necessary to prevent the disease from progressing. The gum condition will be regularly checked until the health of the gums has returned to a stable state. Plaque is a sticky layer of bacteria that aggregates on all the surfaces of teeth, particularly in between them and on the areas close to the gums. Dental plaque and its inadequate removal is the main cause of tooth decay and gum disease. When sugar and sugary products are eaten or drunk, the bacteria which inhabit dental plaque use these sugars to create acids which breakdown the minerals in dental enamel. These acids begin to dissolve tooth enamel within 20 minutes of eating. The holes are usually painless – until they progress in size. Without treatment, the decayed cavities could eventually cause pain and can result in a dental abscess. 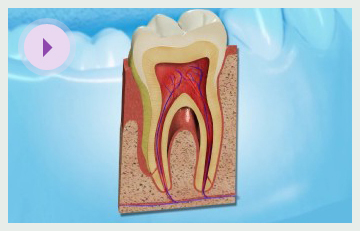 If the roots of a tooth become exposed due to gum disease tooth decay can develop on the exposed roots of the teeth. The roots of teeth are made from a softer material than the rest of the tooth and thus are more susceptible to dental decay. Root surfaces tend to accumulate lots of plaque also. The type of food and how often it is eaten is as important as the amount of sugar involved. Sticky foods are more harmful than non-sticky foods because they adhere to the surface of the teeth for longer. Frequent snacking replenishes the harmful plaque on the surface of teeth more regularly and thus this leads to more problems than limiting eating to a few times per day. Sugary snacks and drinks between meals should be avoided as much as possible. If snacks are taken, they should be foods such as fruit, toast and cheese rather than sweets, biscuits and cakes. The use of a fluoridated mouthwash after a sugary snack will help prevent dental decay. Plaque is a major contributing factor to gum disease. When it aggregates around the necks of teeth it causes an inflammatory reaction in the gum. The gum will tend to swell and creates a gap (pocket) between the tooth and gum. These pockets are often difficult to clean effectively and thus more plaque builds up in the area and the pocket becomes deeper. This self-perpetuating cycle will lead to long-term problems if it is not addressed early on in the process. These problems caused by plaque can be controlled by keeping the teeth and gums clean. This is best done by regularly brushing (twice a day for two minutes) using a toothpaste containing fluoride and flossing (once a day). Dental plaque is quite difficult to see, but there are special tablets (disclosing tablets) available from pharmacies. If chewed, they will colour the plaque to make it more visible. Scaling is the mechanical removal of calculus, plaque, tooth deposits and some stains. It can be done either above the gum (supra-gingival) or below the gum (sub-gingival). Root surface debridement is a type of sub-gingival scaling which attempts to remove plaque from the root surface, resulting in a smooth surface which is more difficult for bacteria to colonise. This type of treatment is commonly required for patients with periodontal pockets and needs to be repeated until the depth of the pocket is reduced to an acceptable level. Initially the patient will require a dental examination to assess if periodontal disease is present. If periodontal disease is found treatment may then be advised. The treatment given will vary depending on the severity of the periodontal disease. In its least severe form, the patient may only need some oral hygiene instruction. If plaque and calculus is found above the gum scaling may be necessary. In more severe forms where plaque and calculus is found under the gum, scaling below the gum margin and root surface debridement may be required. Either a dentist or a hygienist can carry out the scaling and root surface debridement. The more complex cases will be carried out by the dentist or possibly a periodontal specialist. Scaling and root surface debridement are carried out using special scaling instruments or ultrasonic devices. Hand instruments are made in various designs appropriate for reaching and removing plaque and calculus from all areas of teeth. The use of hand instruments can be very time consuming. Ultrasonic devices fracture deposits off the tooth surface. They also use water to help clear blood, debris, necrotic tissue and calculus. They are quicker to use and less tiring for the operator. However, some patients find them sensitive when they are placed on the root surface and will need to have local anaesthetic administered before the ultrasonic instruments can be used. Depending on the amount of pre-existing plaque and calculus, scaling above the gum can take 15 to 30 minutes. Longer visits are necessary if it is a first visit and the patient has a lot of plaque and calculus present. However, once the initial therapy has been done and the patient maintains there oral hygiene adequately at home subsequent visits can be completed more quickly. Above the gum scaling is usually pain-free. However, if the gums are very inflamed they can be very sensitive. If so, a topical anaesthetic cream or some local anaesthetic will be used to alleviate the pain. Below the gum scaling and root surface debridement are usually carried out under local anaesthetic. The teeth and gums can sometimes be tender a few days after scaling and root surface debridement. Post-operative pain and sensitivity of the teeth can be treated with desensitising agents/toothpaste’s available from most shops and pharmacies. In the treatment of periodontal disease, the advantages of scaling and root surface debridement outweigh the disadvantages. This is because if periodontal disease is left untreated, it will lead to tooth loss. Patients can sometimes think that their gums have receded after the treatment as when the gums heal after the therapy they will appear less swollen, giving the appearance of becoming more receded. Hygiene procedures are primarily used to present gum disease. For extensive information on gum disease please see the section titled ‘Bleeding and inflamed gums’ in the I’m in pain/Discomfort menu.